President Uhuru Kenyatta has formed a seven member tribunal led by Justice Alnashir Visram to investigate the conduct of Supreme Court judge Justice Jackton Boma Ojwang. 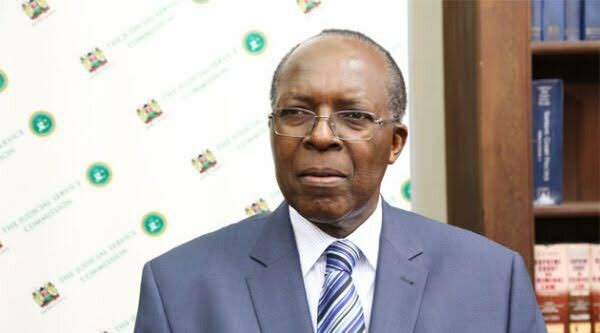 Justice Jackton Boma Ojwang' has also been suspended from exercising the functions of his office with immediate effect. Through a gazette notice, Court of Appeal judge Justice Alnashir Visram will lead members including Justice (Rtd.) Festus Azangalala, lawyer Ambrose Weda, Andrew Bahati Mwamuye, Senior Counsel Lucy Kambuni, Sylvia Wanjiku Muchiri and Amina Abdalla in the tribunal. The president acted upon the recommendation of the Judicial Service Commission. According to the Constitution of the land, Professor Jackton Boma Ojwang' stands suspended from office. Professor Jackton Boma Ojwang' is facing allegations of corruption in delivery of judgements and being a partial arbitrator. He is also being accused of having a suspicious relationship with Governor Okoth Obado and the county that he heads, Migori County. In one of the complaints seen by Daily Updates Africa, Professor Jackton Ojwang's is accused of giving a ruling on Sony Sugarbelt for which a road to his rural home was built and lights installed on the same road. Jackton Ojwang' is not the first judge of his rank to find himself in such a situation. The first deputy chief justice Nancy Barasa was found guilty of gross misconduct and fired when she was involved in a brawl in which a woman's nose was pinched.